You are here because you want to make the most out of matched betting, and rightly so! 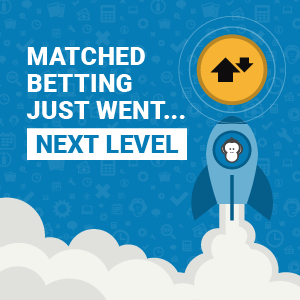 Matched betting is a great way to make risk-free money every month from the comfort of your couch. To maximize your earnings potential you’ll need to use a software tool. But what is the best matched betting site out there? This guide describes everything you need to know about the three best matched betting sites that will allow you to profit quickly and easily. Who am I to say? I’ve been doing matched betting for over a year now, and have made over £8,000 in total profits. I am writing about all matched betting areas to help others make progress and work their way up! 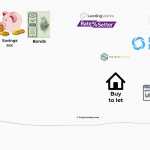 Why I use matched betting software? Simply because it saves me huge amounts of research time. Finding the best-value offers is a very time-consuming task. There are hundreds of offers and bookmakers. Using a matched betting website saves me the hassle of having to visit each one of them and dig out the gold every day. 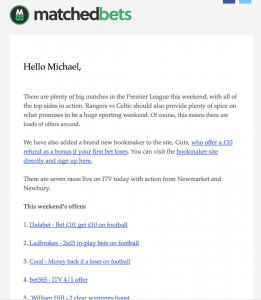 OddsMonkey: For £15 a month you get all you need to become a successful matched betting expert. OddsMonkey provides daily offers, calculators, video tutorials and an amazing forum. 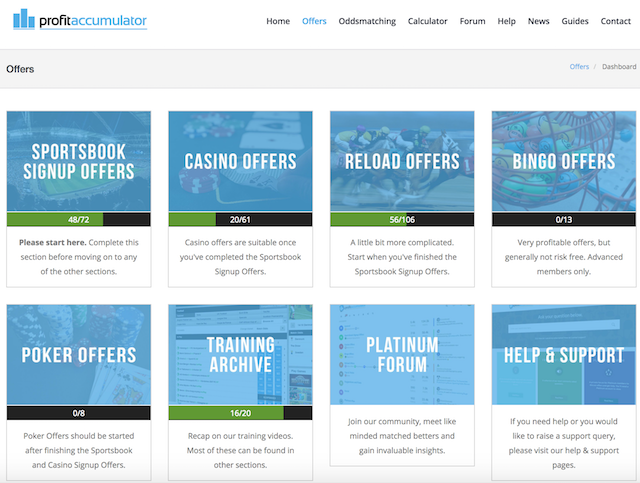 Profit Accumulator: A very popular matched betting service with a well-rounded knowledge base on how to make money from betting offers. It costs £17.99 and it has a very active community. Matched Bets: This is the newest betting service but it develops new features very quickly. It costs £14 per month. Without further delay, let’s dive into the details of each tool and its strengths. OddsMonkey (free trial, £15 a month) is one of the strongest players in the matched betting space. Having existed for more than 5 years now, they know what offers are likely to make most of the profits. 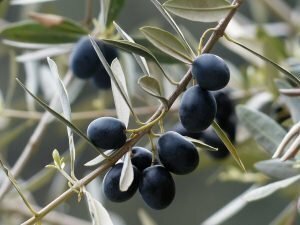 If you’re just starting out, OddsMonkey provides a step-by-step tutorial for beginners. It explains what matched betting is in detail, how to lay bets on a betting exchange (like Betfair). From videos and written tutorials to advanced product guides, it offers all you will need if you have no idea about betting and math. Football, horses, casinos, email alerts, reload offers, bingos are all explained in detail for beginners. They also provide a free 1-2-1 training session for people that really need to speak to someone. One of the things I love about OddsMonkey is the great interface. Once you log in they present you the offers for the day sorted by value. The top ones are really guaranteed profit and as you scroll down you find different bookmakers. As you can see, the “Weekly bet club offers” are worth £85.45 and can be done every week. 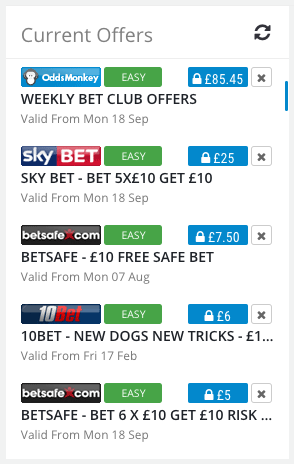 It is a thread that contains all weekly loyalty offers that bookmakers issue grouped in one place. For example, bet £30 at Ladbrokes this week and get a £10 FREE BET for the next one. I love those because they are the definition of consistent profit! At the top, I can find a list of extremely useful tools. Starting with OddsMatcher, this tool saves me many hours of finding close odds between the bookmaker and the betting exchange (i.e. Betfair). I can see the best matches to maximize my free bet earnings and can even lay the bets on Betfair via the OddsMonkey interface. The Racing Matcher – Show me the money, horse! Horse racing is probably the most profitable area of matched betting. The Racing Matcher shows all the offers available for each race and how much to expect from each. In addition to that, you can click on each bookmaker to find the horse which gives you the smallest qualifying loss at the given moment! I can easily make at least £25 every day thanks to the Racing matcher offers (and thanks to the various horse racing events too). I wish I could place the bets via the Racing matcher tool, but I bet this will come sooner than later. I can’t really complain about the OddsMonkey support. There are multiple staff people always online, eager to help when asking questions at the forum. They also offer a free 1-2-1 training to help you get started with matched betting or advance your existing skills. In fact, the OddsMonkey community is a great place to hang around and discuss offers with other people. There are so many people online now that they post new offers faster than the OddsMonkey staff. To get a fast response, tag the support staff (@Support-Staff) when asking a question. When it comes to advanced matched betting OddsMonkey gives you the tools to achieve more for your time. Things like the Each way matcher, the Acca tool and the Trigger Bet calculator help boost my profits by ~£300 every month. They also provide detailed guides on how to use those advanced tools. For example, they show you how to benefit from an Extra Place offer. On some horse races, bookmakers pay on the 4th or the 5th place as opposed to paying the first 3 (to place). This is where the value is plus it works on restricted accounts as well. It really is. Not only they answer each question in a detailed and friendly manner but they make sure this happens in minutes. They know that keeping customers happy is the #1 way to retain them and they just do that. I just read they have reached the 40,000 customers mark which is unbelievable if you think about it. And customers give back. Sometimes people from the community post on the forum about offers they found or help answer other people’s questions. 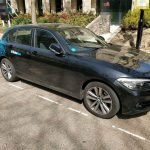 Some people do matched betting as a full-time job! The development of the platform is very active. 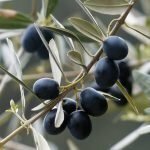 OddsMonkey continues to innovate and provide VALUE to their users. For example, when there’s a new offer that sticks around like the Bet365 and Paddy 2 goals early payout, they will create a separate guide on how to make a consistent profit from that offer. More and more offers appear on horses and they just developed the Extra Place matcher to help us extract value out of it quickly. They also added the Profit Tracker feature. Last but not least, another example is the recent Betfair integration. They have partnered with Betfair which is the best betting exchange that all matched bettors use. So if you’re an OddsMonkey member you get 2% commission instead of 5% which makes a huge difference in the monthly profits. You can also place bets at Betfair via the OddsMonkey interface. This is a huge win because it means I don’t even have to leave the OddsMonkey website to place my lay bets. 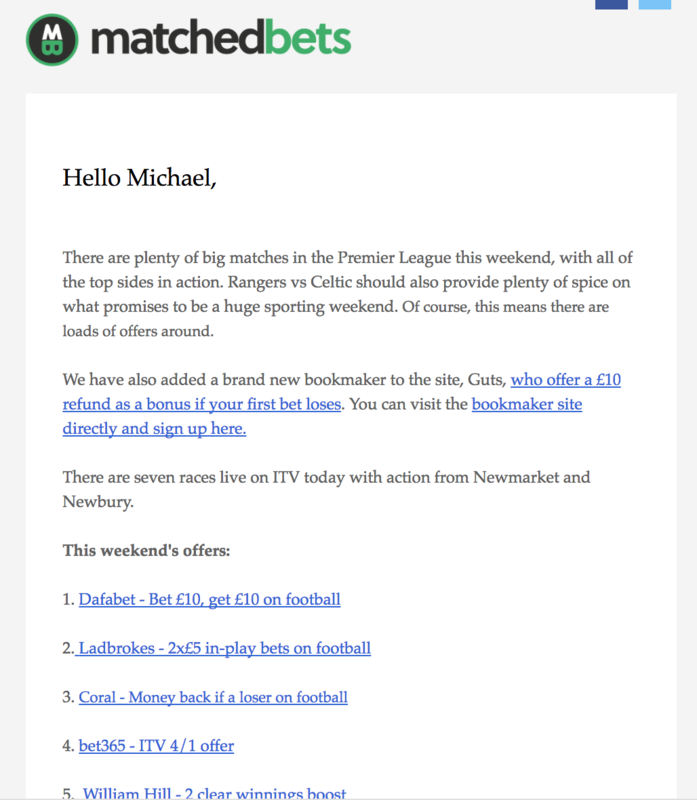 All the above make OddsMonkey one of the best matched betting sites out there. I will definitely continue to use it for my matched betting activity. At £15 a month, it’s a Bargain. Profit Accumulator is the pioneer of matched betting in the UK. With over 1 million forum posts and a very active community, it’s one of the best matched betting sites in the UK. As you can see, the Profit Accumulator dashboard offers plenty of ways to make a side income. Starting from 72 classic sign-up offers you can continue with casino and reload offers. There are literally hundreds of offer every day after you have completed all the sign-up offers. If you’re into Poker, there is a new section dedicated to making risk-free income from Casino and Poker offers too. Sometimes, seeing other people making £2,000 a month from matched betting can be quite intimidating. That’s because as you get more experienced you can easily spot opportunities and complete offers quicker. 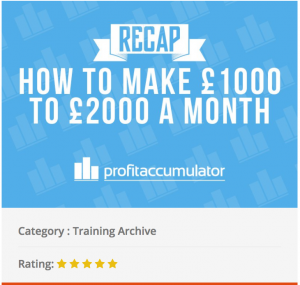 Profit Accumulator has a special section for beginners that shows you how to advance your matched betting skills. It’s not unusual for people to make between £1,000 to £2,000 per month but you have to be trained first and be patient. Profit Accumulator includes a very useful feature in the price: The Profit Tracker. Simply put, you can track all your bets in one place on their website. You can also visualize the earnings and see how much you made per bookie. The amount of money you have available across all your bookmakers is called the bankroll. Another feature of Profit Accumulator is that where you save the different amounts you have deposited to different bookmakers in order to track how your bankroll is split between them. Quite powerful if you want to make a decision on withdrawals. What makes Profit Accumulator stand out? Profit Accumulator is not only about matched betting. It’s about all things making money. Although profit from betting offers is at its core, the website provides a powerful blog that focuses on money making, money saving, sports news and other genuine stuff. For example, you can make an extra income filling surveys or flipping websites at your spare time. If you’re following FoxyMonkey closely, you probably have noticed the post 14 ways to make an extra income working from your laptop. 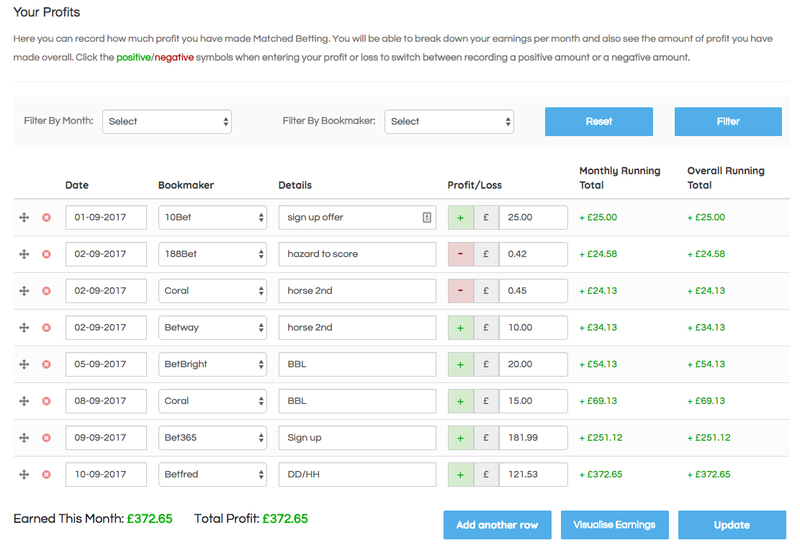 I highly recommend Profit Accumulator for all your matched betting. I have been a loyal customer and will continue to be since the £17.99 is quite low compared to the value I get. Matched Bets is the new kid in town. It’s one of the newest matched betting services which started in 2016. Although they don’t offer the depth of OddsMonkey and Profit Accumulator, they try to be close to the users while constantly adding new features. 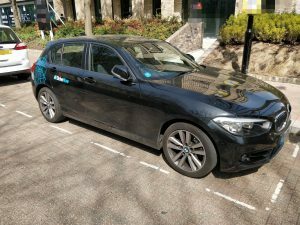 There’s a free trial with which you can make around £50 and the full version costs £14 per month. As you would expect, there is money to be had every day. Matched Bets present us the daily offers in a nice way with instructions about how to maximize your profit. They also have a different section for the Sign-up offers. These are more profitable but can be done only once per customer. Once you’re registered, you’re registered! Starting from the basics, you can find all sort of articles on how to get started and make a profit instantly. There are different matched betting strategies to learn such as Acca insurance, multi-lay, price boosts, overlaying etc. Sometimes, articles and videos are too much work. That’s why I loved the idea of the live chat they used to offer. It’s one of the things that helped Matched Bets stand out given that it doesn’t have the forum activity of the big guys. The profit tracker is a great feature if you don’t want to deal with Excel spreadsheets. Personally, I’m the type of guy that will list everything on an online Excel document, but I can see the value of having the profit tracking done at the same place. Profit tracking is a little bit confusing and Matched Bets should improve it. Sometimes I get lost when trying to track a bet. I also like the idea of the OddsMatcher updating automatically. Usually, I find myself hitting the refresh button on OddsMonkey every 30 seconds to find out if the odds have changed. Matched Bets removes that hassle which saves you time. What makes Matched Bets stand out? Sometimes you forget that a certain day is very profitable or that there is £50 worth of offers tonight. Graham from Matched Bets sends an offer summary that reminds me what I should focus on. Although Matched Bets is not the best matched betting site out there, it will definitely improve and become more popular. They need to add more features and make the forum more active. This is where the community lives. Horse racing matcher should be #1 on the todo list and they can make the user interface easier to use. Keep up the good work! If you have read all the above congratulations! You really want to optimize your Matched Betting activity. I believe that OddsMonkey is the best matched betting site along with its rival, Profit Accumulator. You’ve probably noticed that there are not big differences between them. 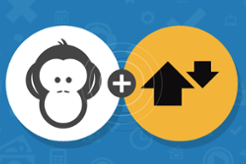 OddsMonkey continues to innovate by offering more and more features to enhance your profits. For a direct comparison read my OddsMonkey vs Profit Accumulator article. Matched Bets comes third but worth keeping an eye as they keep improving and offer great support thanks to the fact that they’re still small. We are all lucky enough to have such great software that allows us to make risk-free money from Matched Betting. Get on! I hope this finds you well, Michael. I came across your blog recently while searching for ways in which I can be able to profit from betting. 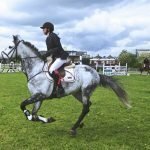 I found a very interesting interview you did with Josh about matched betting and I really enjoyed it. Personally, I have trying to make a living off betting for very many years in vain–about 5 years now. Having combed the internet far and wide for those many years in search for that one way to start earning, I couldn’t have been happier when I found your blog. 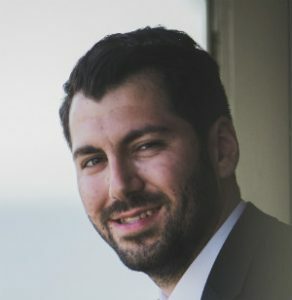 In your interview with Josh,he talked about how one cannot easily decide that to make it their full time job and how, for the start, a bit of good money as float is required to get going. I was wondering if this kind of thing can work for a person like me that has no job but willing to really dedicate all my time to it. Also, can it be done in Africa,particularly in Uganda? And must you have an account with a betting exchange? Hey Blick, thanks for your kind words. 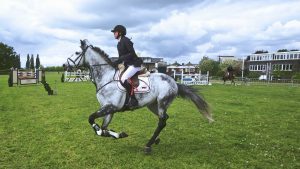 Matched betting can be done anywhere really, as long as you have enough offers to make money from. The key here is offers. I’m not sure if Uganda, Africa has bookmakers with exploitable offers. In general, all you need is bookmakers offering bonuses and a betting exchange like Betfair. The more bookmakers the higher the profit. Unfortunately, the bookmakers here don’t have any good offers. They hardly give out any bonuses, and if they do–they have too many restrictions on how to use them. Thanks Michael, for sharing such an informative article. It will surely help people to make money online through Matched Betting.